Vintage Bobbin Lamps - Original House – Decorative Antiques, Vintage Industrial Furniture and Lighting, Cotswolds. These vintage bobbins were sourced from a textile mill in Massachusetts, USA. We believe them to be circa 1950's. We have 'repurposed' these by turning them into simple table lamps with copper and brass fittings and triple twisted braided flex. The colour varies between them with some obvious pairs and a few with paint on the top. Please do get in touch if you would like specifics as to what is available. 40 cm h to the shade ring x 13 across the base. The green shade pictured is 25 cm across x 23 h from pooky.com. 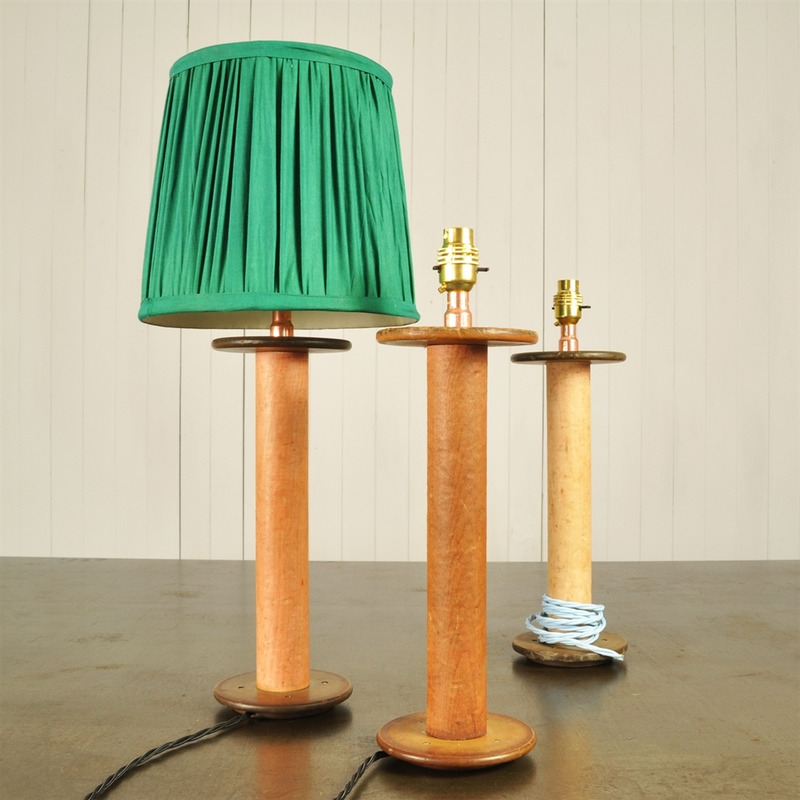 8 lamps currently available, priced and sold individually.